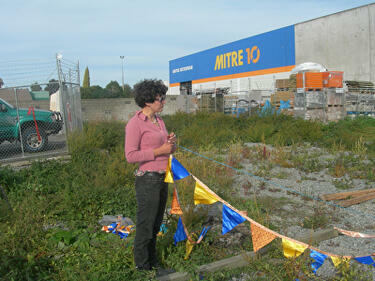 A photograph of a woman hanging bunting at Gap Filler's 'Film in the Gap' project. 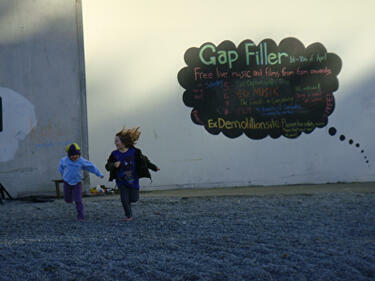 A photograph of children running across the site of Gap Filler's 'Film in the Gap' project. On the wall behind them is a chalkboard advertising upcoming events.